Happy Birthday Vice President Mike Pence! Do you realize that we have two Geminis as President and Vice President of the United States? President Trump’s birthday is June 14, just one week from today. 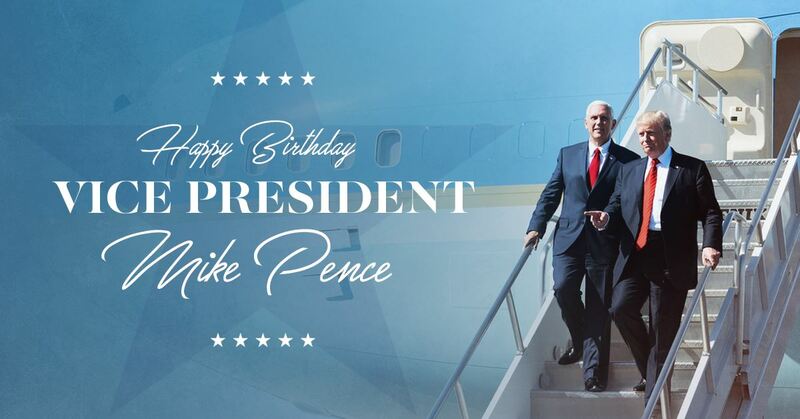 1 Response to Happy Birthday Vice President Mike Pence! Happy birthday, Mike! Your support of President Trump and your hard work on behalf of our nation is most appreciated. God bless you!